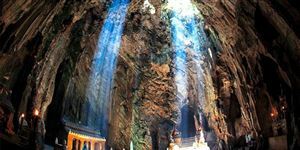 The 4-day trip to discover a series of world heritages in Central Vietnamwill give you anunforgettable experience with interesting place sites in the central area of Vietnam. This trip route encompasses no less than two UNESCO-designated World Heritage Sites and more: the sixteenth century silk route trading port of Hoi An; the intact ancient imperial city of Hue; the blooming Danang city, recognized in 2016 by Smart Travel Asia as the most attractive festival destination of Asia and the world’s top 10 destinations of relaxation. The area is also rich in natural history and culture and as such has tremendous long-term potential for the development of road tourism throughout the Indochina region. Join us for a lifetime experience. Upon arrival in Da Nang city, pick you up and transfer for lunch in a local sea food restaurant on one of the tobeautiful beaches in the world and then start to enjoy sight-seeing of the beauty of East Vietnam Sea before heading to the ancient town of Hoi An where is known as an UNESCO World Heritage Site since 1999. Hoi Anis the old sections (charming and wonderfully preserved, combining Chinese, Japanese and European influences). Check in hotel. Explore the Hoi An ancient town such as take a walking tour visiting Chinese Assembly Hall & Temples, Old houses & Japanese Covered Pagoda Bridge, Old house of Tan Ki (Or Phung Hung); Fukian Assembly Hall; Sahuynh Cultural Museum (or Museum of Folk Cultures). Continue exploringHoi An silk village, seeing how silkworms are taken care of and how their cocoons are transformed into beautiful and elaborate handicrafts. Get yourself back to 17th century, relax and soak up the atmosphere. Have dinner in a local resstaurant.Overnight in Hoi An. 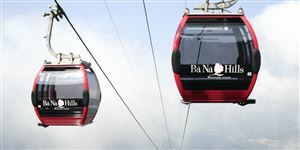 After breakfast, check out, pick you up and transfer to Ba Na Hills Stationwhich is known as the “Pearl of the climate” of the Central,one of the tourist center - famous resort - highest level in Indochina colonial times.Have a chance to ride on a modern system of cable carswhich helps you get a bird's-eye view, very miraculous and attractive while enjoying a feeling of flying in the blue sky amidst the clouds and wind. You will visit some old French villas en route, as well as the suspension bridge, the Nui Chua withMountain Peak (at the height of 1,487m). We will then enjoybuffet lunch whilst taking in the spectacular views. In the afternoon, after lunch, leisure time for joining games in Fantasy Park – the third biggest indoor games zone in Vietnam, free and easy with series of interesting games. Visit Golden Bridge at Ba Na Hill. The bridge is located at a height of 1,400M, between a sea of clouds. Standing here watching the scene that has taken photos, the more and more, It looks breathtaking with the view and those giant stone hands. Then visit Vong Nguyet hills where the wine cellar, Linh Ung Pagoda, Sakyamuni Buddha's monument situate by The first and unique Funicular in Vietnam from Garaventa Company (Swiss). Leaving Ba Na Hills for Hue. On the way to stop for sightseeing the high mountain Hai Van pass, leisure time to visit Lang Co beach; the lagoon far below with Da Nang spread out. Check in hotel and have dinner at local restaurantwith famous specialties of Hue. After dinner, get on boat cruising up the Huong river, then enjoy amazing “Hue’s Folk music” professionally performed by Hue artists in traditional beautiful suites of “Ao dai”.Overnight in Hue. After breakfast andcheck out, pick you up to visit the beautiful Pagoda of Thien Mu with its impressive ‘Heavenly Lady’ seven-story tower. 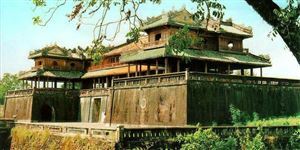 Continue on to visit the Imperial Citadel,a vast complex built in the early 19th century under the Nguyen Dynasty which was the last feudal regime in Vietnam during 1802 - 1945. Visit and shopping at Dong Ba market, we take a short time for local market, great fun here. After lunch, then head out for Da Nang. Take dinner at a local restaurant.Free to explore and overnight in Da Nang. Breakfast & check out the hotel. Enjoy VietNam typical coffee before transferring to the airport for your flight home.